Many congratulations to the RAF Team on achieving third place in the South West Region’s Competition. 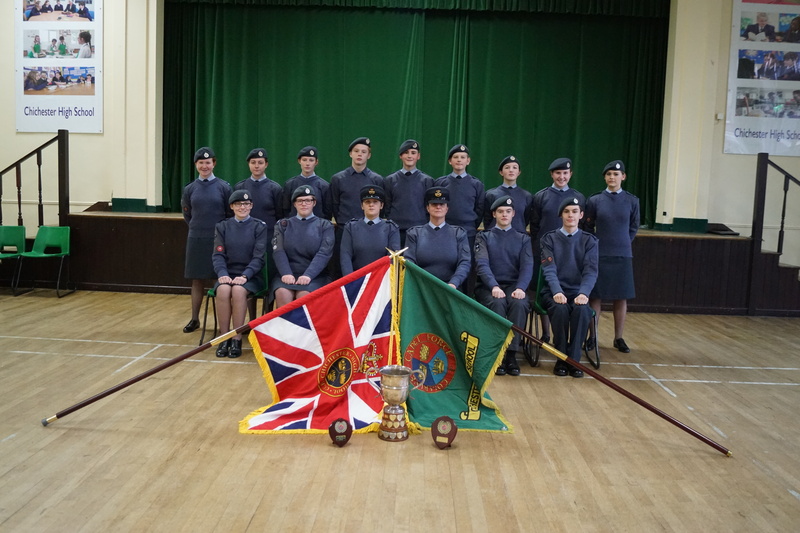 For the third year running Chichester High School have won the Drill Competition. The Team also came second in the Leadership Competition. This year’s team was made up of cadets who were much more inexperienced and, in many cases, younger than their recent predecessors were. They were asked to give their best effort and it is quite apparent that they did just that. Very well done all of you, you can be very proud of yourselves.